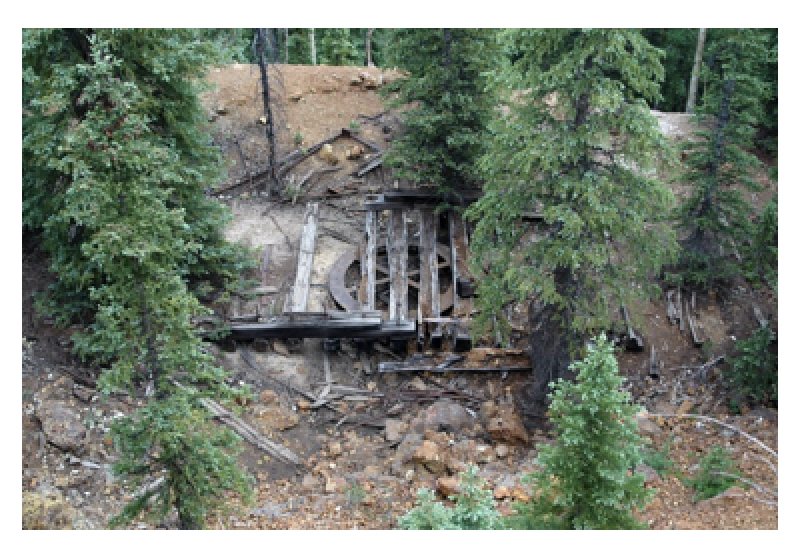 In September 2017, the County of Ouray accepted donation of 100% fee title and mineral interest in two patented mining claims in the Red Mountain Mining District, so that the historic Corkscrew Turntable, and a portion of the historic railroad grade of the Silverton Railroad contained within the two properties could be permanently conserved and protected in the state they are currently found. In advance of agreeing to receive this donation, the Ouray Board of County Commissioners (BOCC) asked the Ouray County Historical Society (OCHS), in recognition of its expertise, interest, and ability, to assume responsibility for managing the Corkscrew Turntable Claims, on behalf of the County. This plan is meant to serve as both a framework for, and an agreement between, Ouray County and OCHS, for that management. Due to the historical significance of the Silverton Railroad and the Corkscrew Turntable, and aware of increasing development pressure in the Alpine Zone of Ouray County, the BOCC desires to conserve and protect the Mona Queen and Little Mona patented mining claims in the condition they are found at the time the County obtained ownership. The properties are located in the Red Mountain Mining District of Ouray County, along the historic railroad grade of the Silverton Railroad, east of US 550, approximately one mile north of County Road 31, at the end and about ¼ north of the Guston Road. Partners in the project include the Trust for Land Restoration, members of the Red Mountain Task Force, the Ouray County Historical Society, private citizens, and US Senator Michael Bennet. The properties were acquired by TLR from the Greenfield Multistate Environmental Trust (Greenfield), with a grant from the Toan-O’Brien Foundation, Sante Fe NM, with the intent of donating the two claims to the County of Ouray. In advance of acquiring the property, the BOCC, at its May 3, 2016 meeting, asked OCHS to consider assuming management responsibility of the turntable claims, once the County became owner. OCHS, at the May 2016 meeting of its Board of Directors, agreed in concept to accept management responsibility of the turntable claims, subject to its review and approval of this management plan. As background, in 2011 Greenfield was appointed by the court overseeing the bankruptcy of the Tronox Corporation, a former subsidiary of Kerr–McGee Corporation, to take possession, for the purposes of selling, sixteen patented mining claims in Ouray County and 84 claims in San Juan County to whomever Greenfield deemed an appropriate buyer, on behalf of beneficiaries of the trust, including the United States Environmental Protection Agency (US EPA) and the United States Department of Justice (US DOJ). Local citizens, including Bob Risch, Ben Tisdel (prior to becoming an Ouray County Commissioner), and TLR’s Patrick Willits, along with San Juan County Administrator William Tookey, then-San Juan County Treasurer Bev Rich, Ryan Bennett, a private landowner, and John Whitney of US Senator Michael Bennet’s office met either in person or via telephone with representatives of Greenfield in the fall of 2013 and again the spring of 2014, to strategize some sort of conservation/protection of the former Tronox claims. As a result, TLR, with the aforementioned support of Toan-O’Brien Foundation, began to work with Greenfield to acquire all sixteen of the former Tronox claims located in Ouray County. In December 2015, TLR acquired and donated 14 of the former Tronox claims to the United States Forest Service. TLR has donated the remaining two claims, the Mona Queen and the Little Mona, to the County of Ouray. The Mona Queen and Little Mona are entirely surrounded by property of the United States, including three of the 14 claims donated to the USFS by TLR at the end of last year. OCHS had considered accepting donation of the two turntable claims, but was not able to reach mutual agreement with Greenfield on language to be included in the Quit Claim Deed transferring title from Greenfield to the society. Ouray County Attorney Marti Whitmore reviewed the proposed Quit Claim Deed transferring the properties to County of Ouray, suggested additional language to protect the County, and reached agreement with Greenfield. Private-citizen and local landowner Ryan Bennett in San Juan County has agreed to purchase all eighty-four of the Tronox claims found in San Juan County, and to voluntarily deed-restrict or otherwise agree to limit all residential development of the properties. Bennett’s deal has yet to be approved by the US EPA and the US DOJ. Map showing location of Little Mona and Mona Queen patented mining claims, in relation to other mining claims acquired by TLR and donated to the United States. The historical significance of the Silverton Railroad and the Corkscrew Turntable is well documented, and creates the context for which management objectives for the site are derived, and management decisions made. “The Silverton Railroad ran from Silverton to Albany in Ironton Park where a smelter was located. Otto Mears financed the construction of the railroad to tap the rich silver mines on the Ouray side of Red Mountain Pass. In the fall of 1887 the railroad was completed as far as Burro Bridge where the Ophir Pass Road crosses mineral creek below Highway 550. The next spring Mears hired Charles Gibbs as the construction engineer and he built the railroad from Burro Bridge to Albany in less than 8 months! Gibbs constructed three remarkable engineering features between Burro Bridge and Albany: the Chattanooga Loop, the station inside the wye in Red Mountain Town and the Corkscrew Gulch Turntable. As the railroad descended Red Mountain Pass, a switchback was required at the head of Corkscrew Gulch since there was not enough room for a balloon loop or a wye (two common methods for reversing the direction of a train). However, this would require the 2-8-0 engines to back down or up the grade from the switchback. This was bad for three reasons. First, these engines were prone to derail when going backwards, especially in snow. Secondly, it was dangerous to back a loaded train downhill, and finally, it was necessary to have the engine positioned at the correct end of the train, when switching the various mining spurs. Gibbs’s solution was to place a turntable on the mainline. The Corkscrew Gulch Turntable is reputed to be the only turntable ever constructed on the main line of a US railroad. (Construction engineer) Charles Gibbs described the operation of the turntable in a famous article in the Transactions of the American Society of Engineers in September of 1890. A typical train had from three to five cars. The figure below shows the trackage at the turntable. The track grade leading onto the turntable was downhill to the turntable in both directions allowing the cars to run through the turntable by gravity after the engine was turned. So the grade coming up from Ironton actually climbed a few feet higher in altitude than the turntable so that the approach to the turntable was always downgrade. A train coming upgrade from Albany would stop at point B, the engine would be uncoupled, run onto the turntable, turned and then run to point A. The cars would then be run through the turntable by gravity and the engine would re-couple to these cars and proceed upgrade to Silverton with the engine in front. Similarly, a train coming downgrade from Silverton would stop at point A. The engine would be uncoupled, run onto the turntable, turned and then run to point B. The cars would be allowed to run through the turntable by gravity and the engine would couple on to them and precede downgrade to Albany with the engine in front. The entire process took about five minutes.